When it comes to eating chocolate, I follow a philosophy that is similar to my bacon philosophy: when I am going to eat it, I’m going to eat the real, indulgent thing. 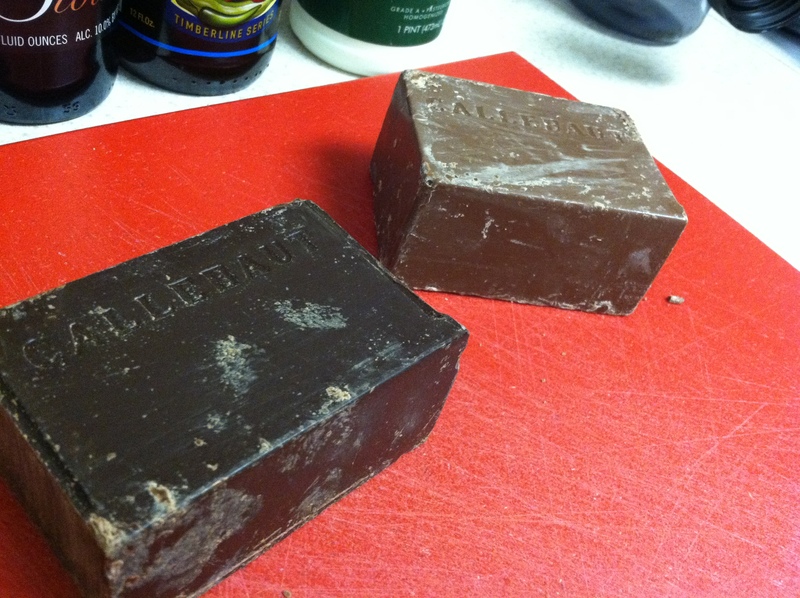 When it’s chocolate time, it’s serious chocolate time…albeit in moderation. That’s the slightly unfortunate part, but I would prefer to eat a small amount of one of my favorite things than to eat a lot of a less delicious version. So for example, I do not want turkey bacon EVER. If I’m going to eat bacon, I’m going to eat effing bacon. That being said, these truffles are not “healthy.” Keep consumption in moderation and you don’t need to feel bad about eating them. There aren’t a ton of ingredients but buy good quality ones. 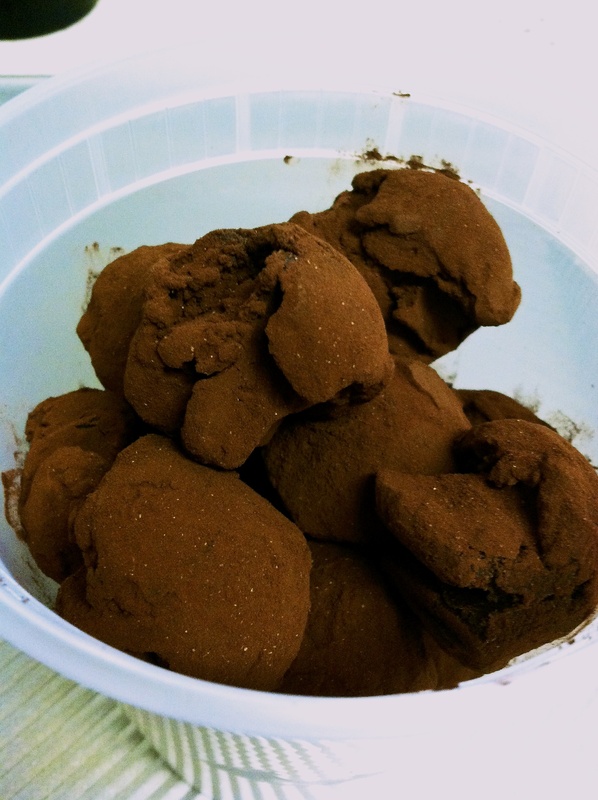 I have been a subscriber to fellow blogger Fresh and Foodie for quite some time, and she recently posted a recipe for some truffles that piqued my interest. Take one guess why…yes, beer was involved. 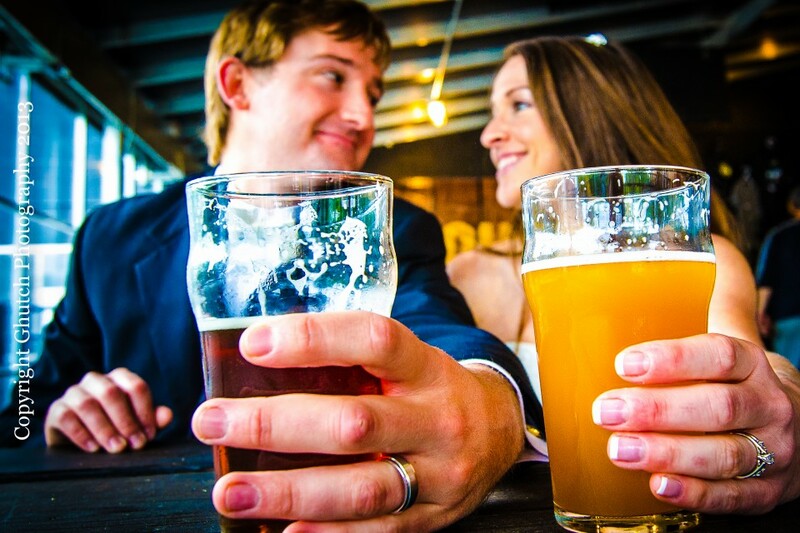 She used a chili-chocolate stout, so I asked Joseph if he could find one. He came home with one chocolate stout and one chili beer. So here is my take on her recipe using a mixture of beers and a slightly different cocoa dusting. While Joseph was out shopping for beers, I went to Whole Foods to buy the chocolate, heavy cream, and cocoa powder. 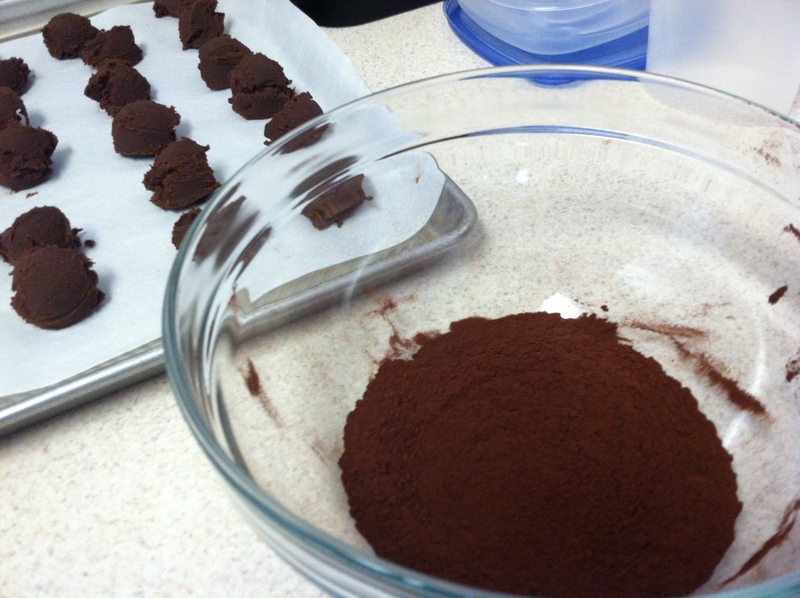 Bobbi’s recipe didn’t call for dark chocolate cocoa powder, but that’s what I bought. I ❤ dark chocolate everything. I did buy the chocolate as her recipe recommended: 1/2 lb bittersweet and 1/2 lb semisweet. Here is another gratuitous chocolate picture, just because. Pretty ain’t it? 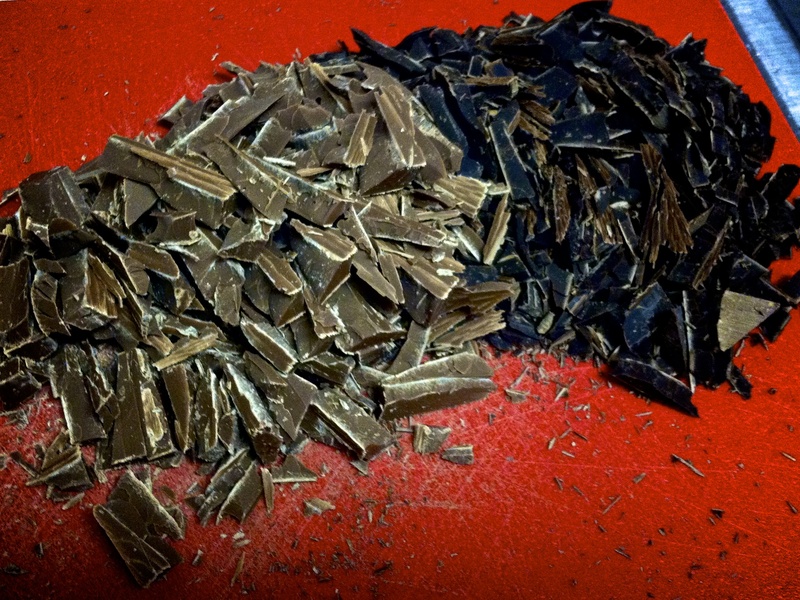 Then I roughly chopped the beautiful chocolates. 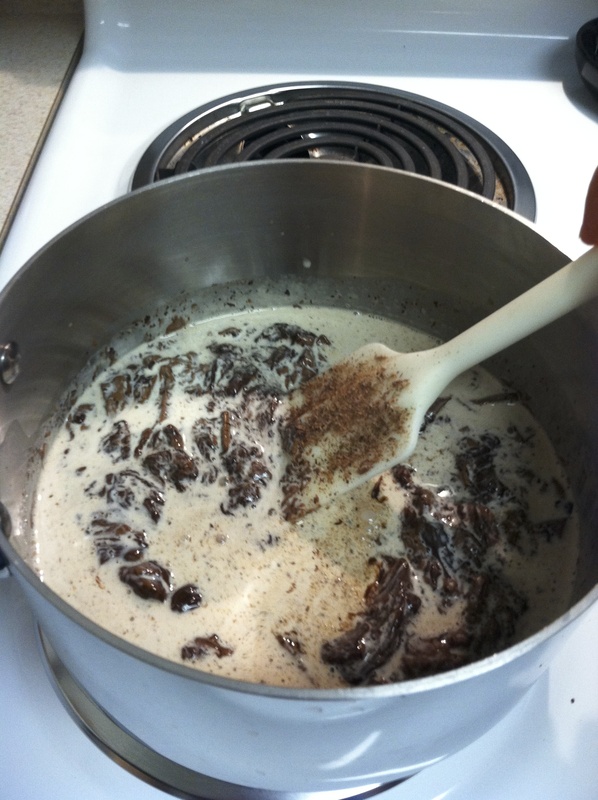 In a medium saucepan, I warmed up 1 cup of heavy cream until small bubbles began to form at the top of the liquid. At that point you can take the cream off the heat and fold in the chopped chocolate. Then pour in 4 tablespoons of beer. Since we were mixing two beers, we thought it was best to “sample” a few different ratios of the mixed beer. It’s a difficult life we lead, I tell ya. 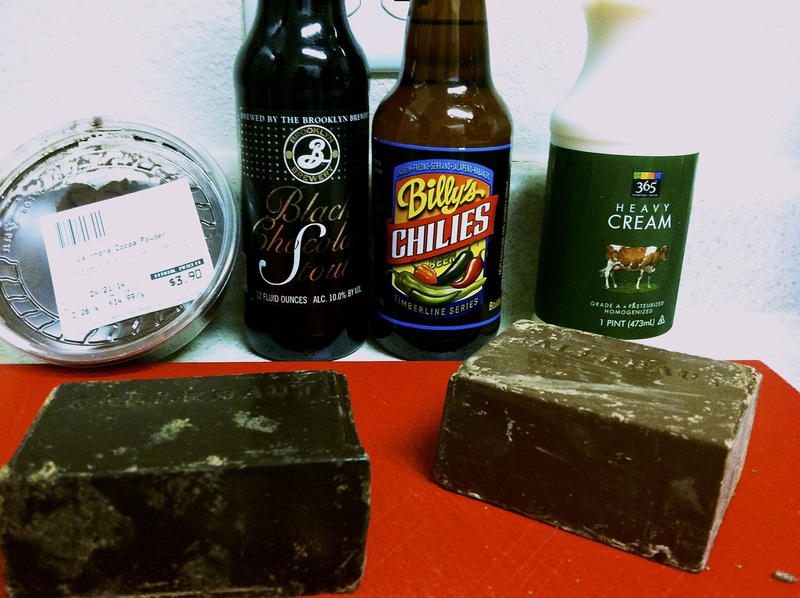 In the end we went with 2 1/2 tablespoons of chocolate stout and 1 1/2 tablespoons of the chili beer. After all was said and done I wish that we had done a bit more chili beer, because it didn’t come through as much as I thought it would. So if you don’t like spicy, keep the ratios as we did them. 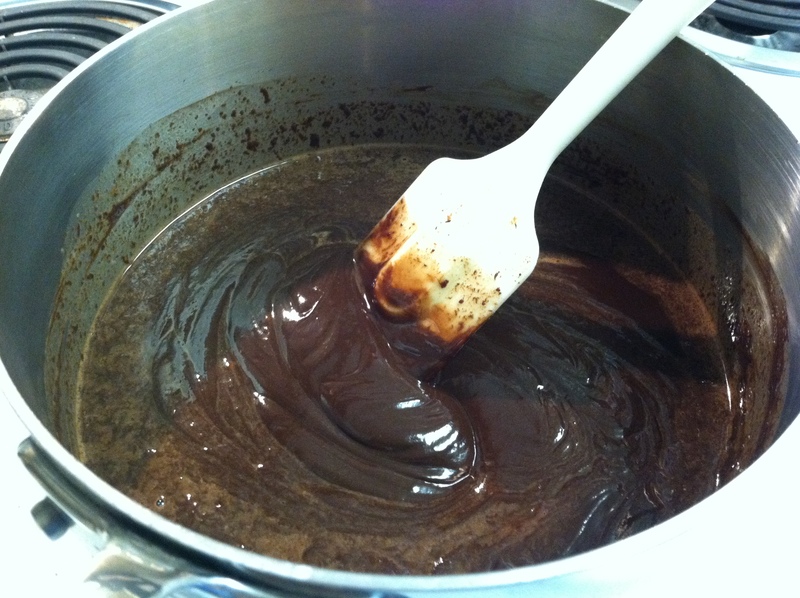 Then pour the mixture in a dish that it will be easy to scoop them out of later. 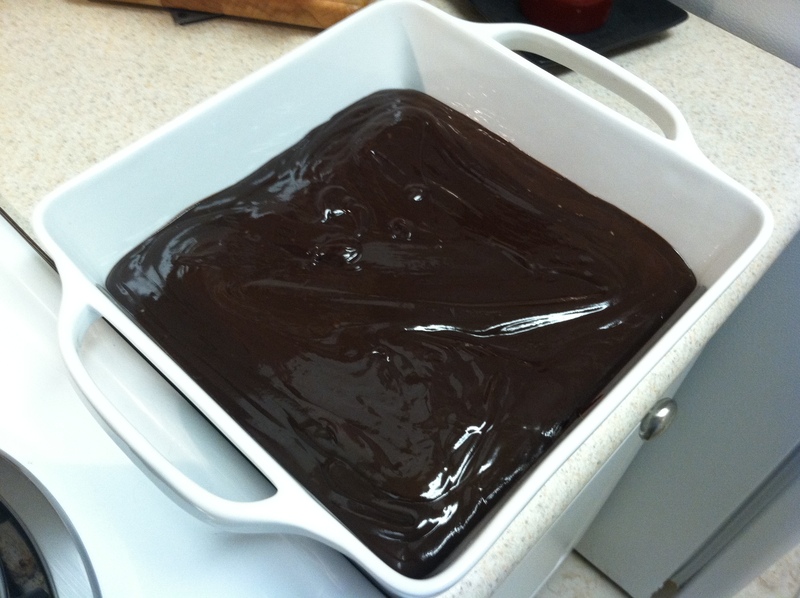 I used a square baking dish. Then loosely cover the dish and refrigerate for at least 4 hours. I let it set overnight. 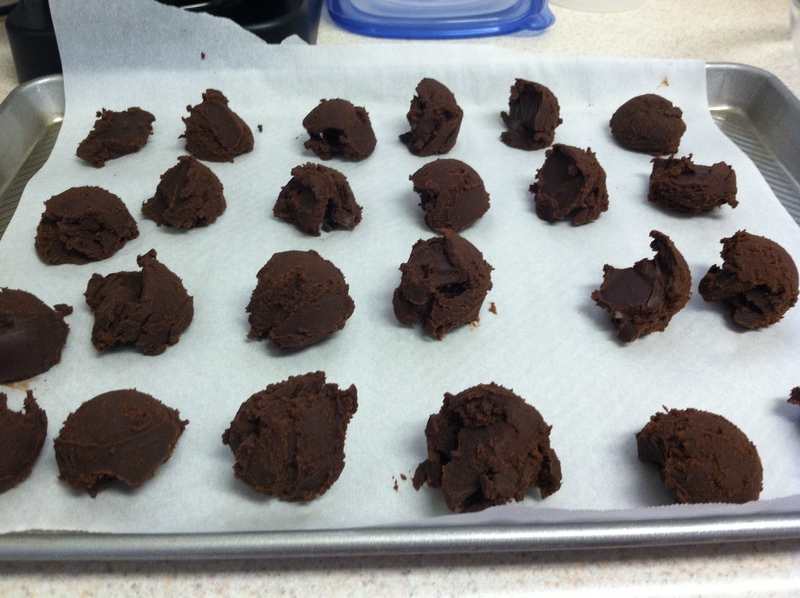 The next day I used a small ice cream scoop (or cookie scoop) to get bite size truffles. I put them on a wax paper lined baking sheet and popped them back in the fridge while I prepared the cocoa dusting mixture. 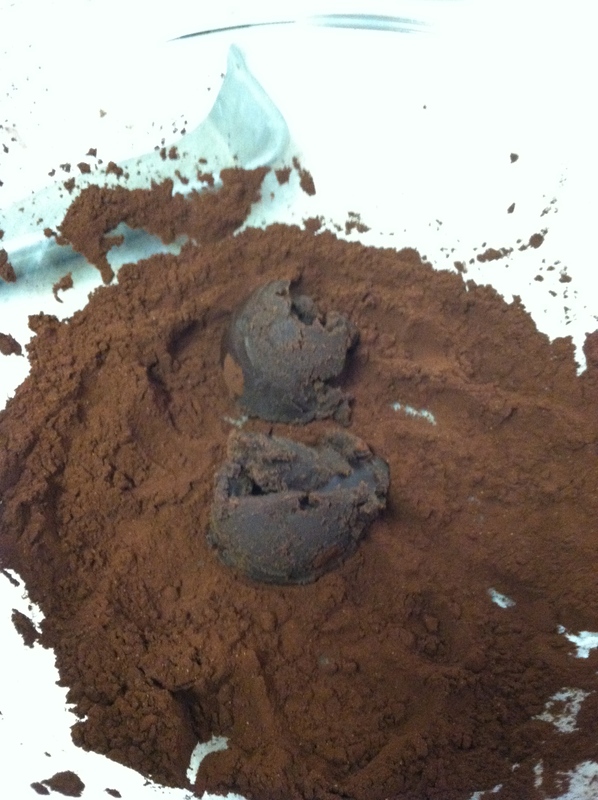 They aren’t the prettiest truffles I’ve seen, but they are ridiculously good. My mom (a chocolate connoisseur – okay not really, but she loves chocolate) said they were some of the best truffles she’s ever eaten. Boom. So seriously, you need to make these. And thanks to Fresh and Foodie for the recipe!